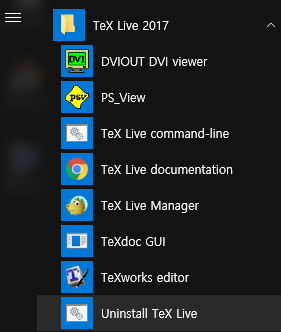 TeX Live command-line 어떻게 열어요??? TeX Live command-line을 어떻게 여는지 모르겠어요 !!! 네. 시작 메뉴 보면 TeX Live 2017 폴더 있어요.